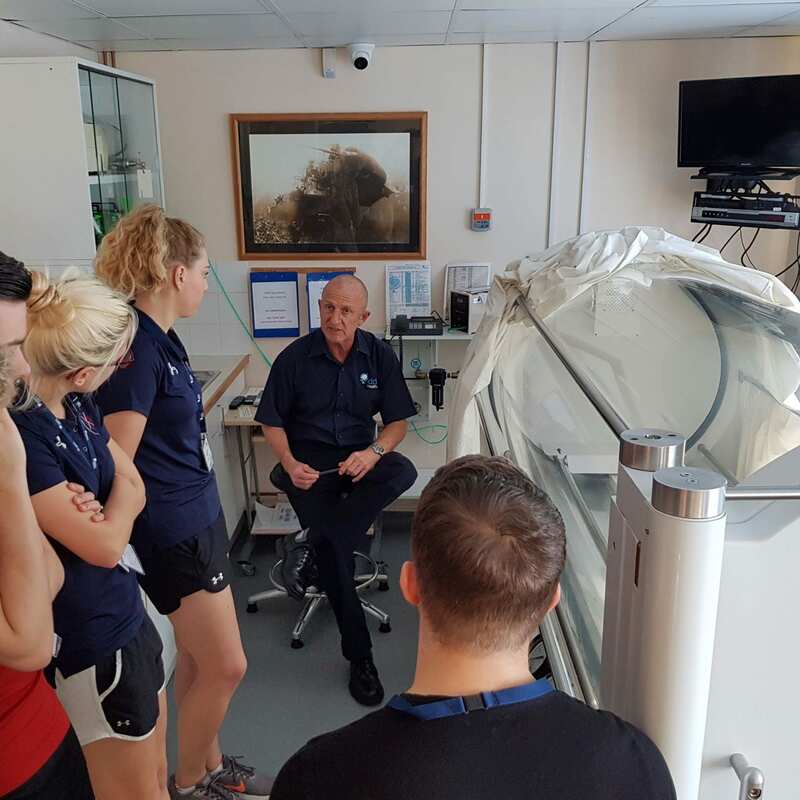 A trip to the Diving Diseases Research Centre (DDRC) was organised by one of our lecturers as part of our environmental physiology module. 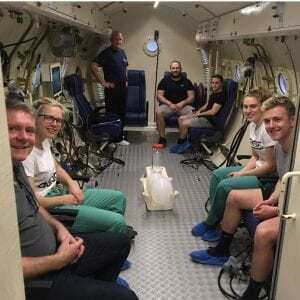 We were to visit to learn how hyperbaric medicine is used to help in a wide verity of illnesses, hyperbaric medicine being medical treatment that is given in a chamber with a pressure greater than at sea level. The treatment also involves an increased amount of oxygen in the air to allow the bodies cells to repair quicker. We would also get the chance to experience a simulated dive to 40 metres below sea level. The morning consisted of a tour with our group leader Tim. We were shown all of the different types of chambers the centre had. One chamber is the type used by American football teams and Manchester United even had one. It was the simplest chamber and is used to cut muscular injury recovery time by a third! This chamber was relatively simple to use and looks a little bit like a see-through MRI machine. We were shown another chamber, the one we would go into, this is the biggest and can achieve a depth of 50 metres. This chamber is used for medical emergencies such as a diver with the bends but is also used more routinely for patients to help recovery from illness. Illnesses can include bubbles in your blood or wounds that cannot heal due to type 2 diabetes and poor blood flow. 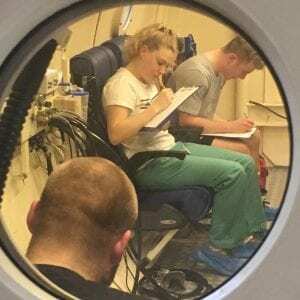 Most uses of the hyperbaric chamber for medicine set the patient at a depth of around 13 metres to get the best results. Another chamber we were shown is from a ship. It’s the chamber system saturation divers use when they are working. This chamber is capable of simulating 350 metres. We learnt that saturation divers stay at depth for up to 4 weeks because if they spent 1 minute at 300 metres it would take 6 days to decompress. This isn’t viable or good for the divers. In fact, you can get someone back from the moon two days quicker than you can decompress from this depth! 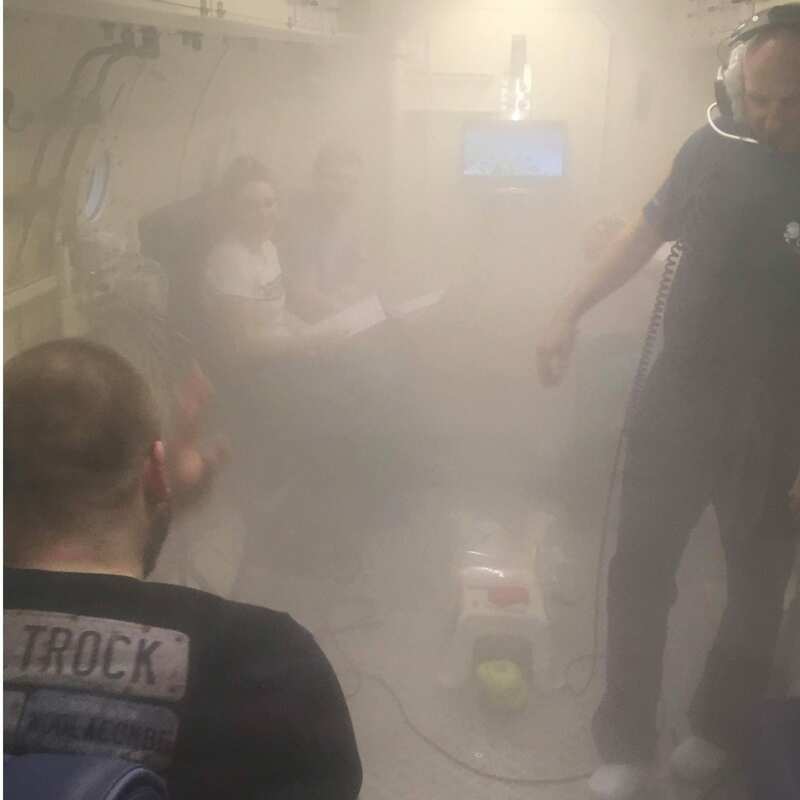 DDRC also have a hospital like resuscitation room for any worst-case scenario patients, it was impressive to learn the extent of medical training the staff need to have, it really was like an underwater hospital. After the tour we had a presentation explaining how hyperbaric medicine works and the gasses used for survival. At a depth of 60 metres oxygen becomes toxic. Oxygen can be supplemented with nitrogen and helium. This means that when you are in the saturation chamber your voice becomes squeaky and very hard to understand if you are outside the chamber. Operators talk to saturation divers inside the chamber through a communication system with a built in unscrambler so they can try to understand the divers. After lunch it was our turn to experience life at 40 metres below sea level. This meant exposing our bodies to 5 times the amount of pressure we feel at sea level. 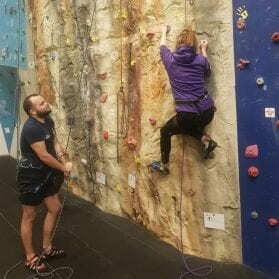 By far the hardest part of the experience would be the pressurisation, during this we had to hold our noses and constantly pop our ears to clear them. This was so our inner ear wouldn’t collapse or burst. Before entering the chamber, we all practised clearing our ears and ensured we all had cotton clothing on. This was to reduce fire risk. We got to our seats and started the decent, in the first pressurisation no matter how hard I tried I couldn’t clear my ears. So, I raised my hand along with another course mate to let Tim know. He asked the chamber operator to depressurise the chamber slightly so we can clear our ears and try again. 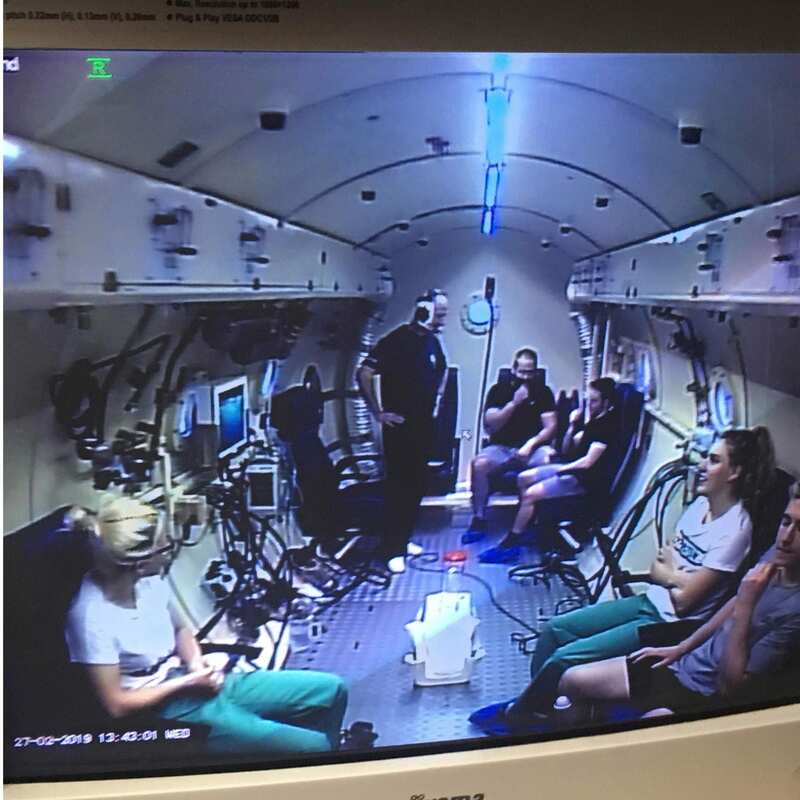 We started the simulated decent again and I still had a little trouble, but it was manageable. Unfortunately, one of my course mates couldn’t clear his ears after a second attempt, he wasn’t allowed to continue and left the chamber. Tim explained that some people find it a lot harder than others and need a slower decent or maybe cannot clear their ears at all. We continued our rapid decent of 40 metres in 3 minutes. The decent was quite frankly a very unpleasant experience and due to the amount of air being forced into the chamber at such a high rate it is incredibly noisy. 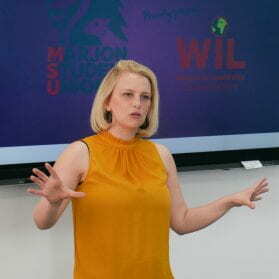 It also gets extremely hot and humid with temperatures reaching 38°C, my eyes even began to water and started stinging. Luckily the decent was over very quickly and once we were ‘on the bottom’ as they say, the experience improved considerably. We were able to enjoy our funny sounding voices and have a walk around to experience the effects the pressure and nitrogen was having on our bodies. We all felt very heavy and had to really try just to talk. We were then given a mental test sheet which asked us to spell our names backwards, do a maths question, count boats in a picture (I was the only one to get them all) and think of eight words beginning with the same letter. Tim said we were all very good. During the dive a big plastic tub and some blow up balloons where placed into the chamber with us, this was so we could visually see the effects of the pressure. The balloons shrunk to about a quarter of their original size and the plastic container crushed. These visual aids really helped us to understand the pressure our bodies where under. The next stage was the decompression stage, this involved us sitting down and watching in amazement as a thick, cold fog appeared as the air was being sucked out of the chamber. After a while we were instructed to start breathing 100% oxygen from the built-in breathing masks. The masks where strange to get used to initially but all you had to do was breath normally. We had to breathe through these for the remaining 15 minutes of our ‘dive’ this was to expel as much nitrogen from our bodies as possible and to oxygenate our haemoglobin. Once we left the chamber, we had to stay around for at least an hour to make sure we wouldn’t have any side effects. While we waited Tim told us more about the physiology behind what we had just experienced and then informed us that people had died from diving to the depth we had just been at. But we were perfectly safe as our depressurisation and gas mix was very carefully controlled. 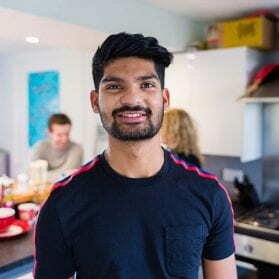 None of the group had experienced any side effects. The whole group found our experience at DDRC very informative and enjoyable with thanks to Tim who managed to answer every question we threw at him. The trip enabled us to learn about a different aspect of environmental physiology we hadn’t really considered before. It was great to be able to see it in real life and experience it for ourselves. 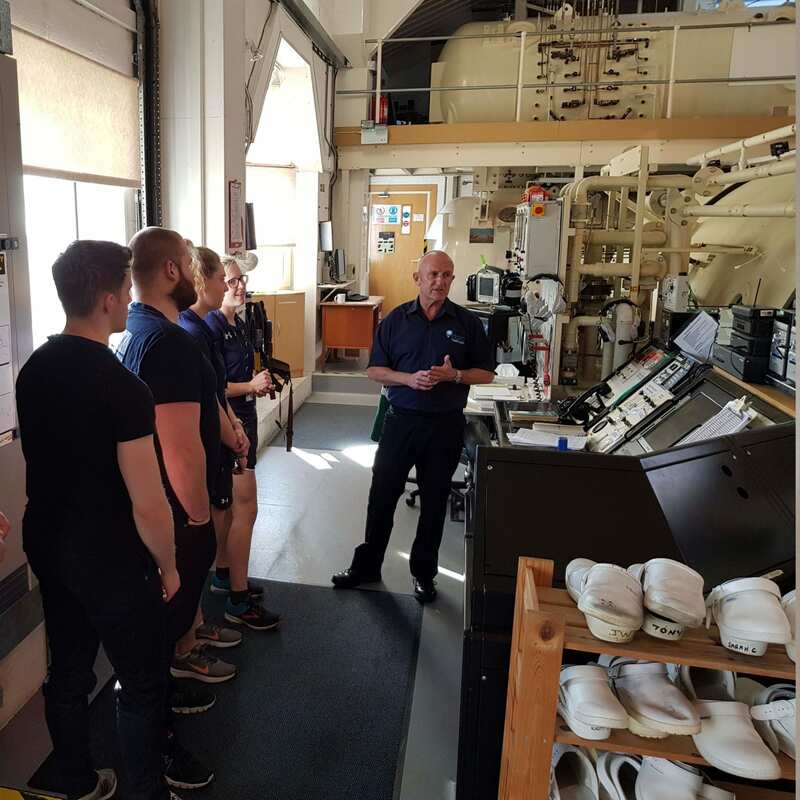 We would like to thank our lecturer Joe for organising the experience and Tim and his colleagues at DDRC for allowing us to use the facilities.